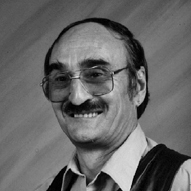 We are saddened to announce the passing of Gordon Helm on March 17, 2019 at the Red Deer Hospice. He was survived by his common-law wife Charlene Sew, and sisters Shirley Husband and Carol Gugyelka; children, Bill Helm, Louise (Richard) Helm; grandchildren, Lee Helm, Shenna (Nate), Payton Helm and great grandchild Javen; nieces and nephews, Lonnie and Rick (Dustin, Lada, Britney and Burklynn) Dehn, Lisa and Larry (Laryssa Steen, Spencer and Emilee) Ubels, Kenny (Mckenna and Gage) Husband, Tammy and Ian (David, Tyler, and Riley), Terry and Tina (Josh, Dustin, and Deltyn), Jessica and Jordan (Gage and Chloe). A burial service will be held in Bassano, May 17, 2019 at 12pm at the Bassano Cemetery. Any donations can be sent to the Kidney Foundation.